Registering for an online ordering account has lots of great benefits, including saved order history, saved delivery addresses, and a digital wallet, but did you know that registering an online ordering account can save you money? Earn $2 off your first order just for registering! Register today — just select your location and click ‘My Account’ to get started! Earn Free Dough (and tons of surprise perks) with OTTO Rewards! Earn 1 point for every dollar spent. Receive 20 points just for signing up! Earn $5 off at 50 and 100 points, and $10 off each 100 points thereafter! Additional exclusive offers, benefits, and perks! Click here for more info on OTTO Rewards! Any 2 slices and a drink for $7.95! Any 1 slice, a drink, and a cookie for $5.95! 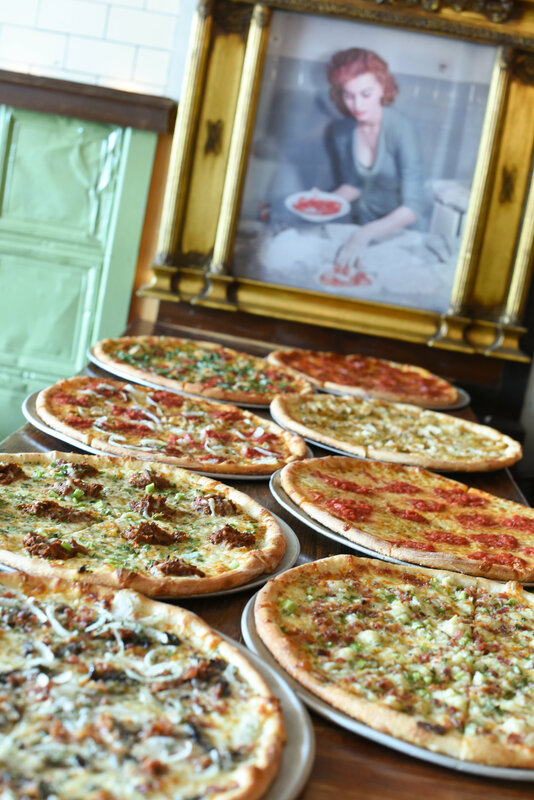 OTTO Happy Hour: Free Slice with Beer or Wine Purchase! Receive any free slice with a specially priced beer or wine purchase between 4-6pm Monday-Thursday! Kids Eat Free Every Wednesday Night! On Wednesdays, 5pm to Close, buy any large pizza and get a FREE 8″ kids cheese pizza! Available only at Maine locations only (not available for takeout or delivery). Earn Free Slices with our Frequent Eater Card! Those who purchase by the slice will want to pick up a Frequent Eater Card (available at any OTTO counter). Buy 10 slices and your next one is on the house!